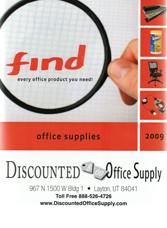 Office Chairs, Leather Chairs, Ergonomic Office Chairs, Wood Chairs and more! No workspace is complete without a office chair. Our selection of modern office chairs include leather, ergonomic, wood, metal, folding and/or stacking classroom office chairs in metal, wood, mesh, and/or luxurious leather. Whether you simply want a office chair that matches your decor or your looking for a luxurious executive office chair with mahogany or oak accents, a stackable folding classroom chair for your school, Discounted Office Supply has the office chair you need at a great price! With such a large selection of office chair styles to choose from, Discounted Office Supply is your source for your next office chair. Most all of our office chairs come equipped with casters, arm rests, swivel and/or tilt mechanisms to make the chair ergonomic. Browse our collection of leather and executive office chairs below. Order your office chair today and enjoy the comforts of your new chair tomorrow.